This is it, the 90s comic book bad girl brought to life and the supernaturally powered zombie queen go toe to toe one last time. With Zombie tramp mastering Vampblade's mystical blade to help destroy her sworn enemies, the disgusting other dimensional parasites, the two must now conquer an even deadlier challenge... friendship?!? 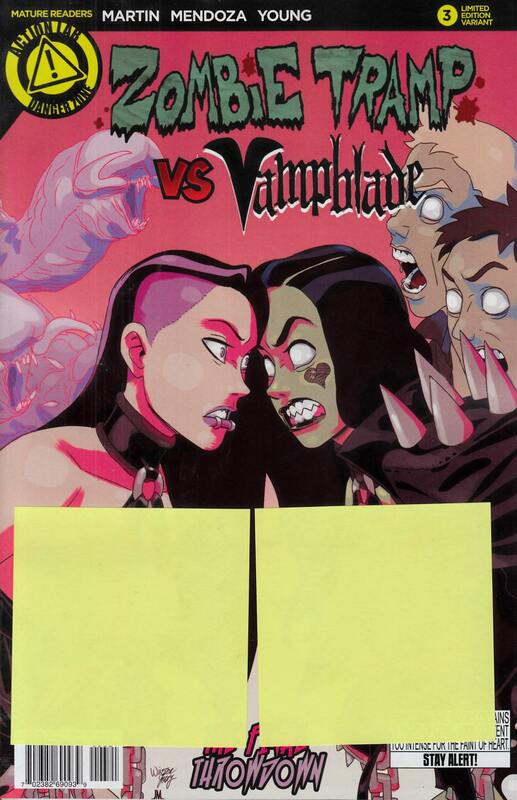 Features a risque variant cover (limited to 2000 copies).